Washington: Cory Booker, a Democratic Senator from the US state of New Jersey, has announced that he is running for president in 2020. 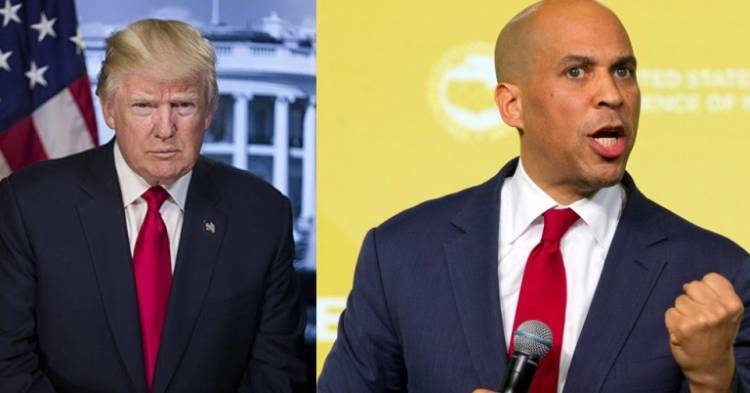 Booker, a former mayor of Newark from 2006 to 2013, and the first African American senator from New Jersey, made the announcement on Friday on Twitter, Xinhua news agency reported. In a video message accompanying the announcement, Booker touched upon topics like racial injustice and economic inequality. The 49-year-old is joining a crowded field of Democrats seeking the party's nomination to take on Donald Trump in next year's presidential elections. He is expected to face tough competition from other prominent figures, including Kamala Harris, a Senator from California; Massachusetts Senator Elizabeth Warren; New York Senator Kirsten Gillibrand; former San Antonio, Texas mayor Julian Castro; and Hawaii congresswoman Tulsi Gabbard. Booker won a special election to the Senate in 2013 before winning a full-term in 2014. He will be able to run for a second term in the Senate in 2020 as well as run for president thanks to a New Jersey law.